Basil, Boxwood is rated 4.2 out of 5 by 10. Rated 1 out of 5 by Mags131 from Disappointed When properly planted in best soil, following direction, these plants never really did anything. Never looked perky; not healthy looking. The plants, planted in different spots, never increased in size height nor width; immediately started to look stressed and never recovered. One went to flower/ to seed immediately, so it was not able to be utilized for its basil. Given plants were placed in three different locations, probability was not soil but plant itself. Expensive purchase for a dud since I purchased multiple. My growing zone was not the issue as growing zones are not accurate anyway- zones 1-12 only refers to the cold. Given these were purchased in March in Southern California Coastal, and delivered closer to April, cold and heat were never an issue. Rated 5 out of 5 by jocelyn from Beautiful basil My boxwood basil arrived in great shape and grew to be very large, gorgeous plants. They got so large I had to share with friends. I will order again next year. Rated 5 out of 5 by lorcela from Beautiful and Fragrant Got these for my patio containers. They are quite hardy and smell wonderful. I wouldn't recommend for cooking. The leaves are very small. Rated 5 out of 5 by Trinity Terrace from The best basil ever!! My fellow gardener and myself purchased this basil last year. We had no idea what an excellent choice we had made! It is very short and bushy and we continued to cut it all summer long. The best part of this little plant are the small leaves. You don't have to chop them to put in your sauces. I highly recommend this plant. Rated 5 out of 5 by pamperedcritter from Best basil I've always grown the large leaf version of basil. It would go to seed before I could use it all. The boxwood basil, I have been able to use more than three quarters of the leaves before it started flowering. I've used it in dishes I never had before. I have enjoyed using this plants & I would strongly recommend it to anyone. I've also dried some. It dries better than the large leaf version. Rated 5 out of 5 by Bearfctry from Wonderful little plant! I love growing this plant every year. They are wonderul to just grow. I try to grow these every year and put them in little pots and give to friends as gifts. Yummm! Rated 4 out of 5 by Javadelcamp from Great little basil! For whatever reason I have been unable to master basil in Colorado. This little guy, however, was wonderful! I started indoor from seed last March, and transplanted my babies in mid-May. I planted them among my tomatoes, which was the only shade that the plants got. The basil was hearty, grew well, didn't have pest issues, smelled great when it was warmed by the sun, and was zesty! It made an awesome pesto! Be warned that this is a very small plant (probably only got 8" high for me), so you're probably not going to be making caprese salad with the leaves. 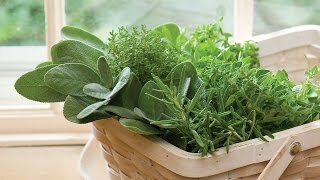 But for adding to dishes, salads, and outrageous pesto, it is a hit, and so easy to grow. Rated 4 out of 5 by Nicola from Great for borders I tried this basil for the first time this summer and I was quite pleased with it. It's very compact and bushy, and is a vast improvement over the other so-called "bush" or "globe" basils that I've tried. Boxwood basil truly does form a wonderful little mound that's very attractive in the garden (and does not end up kind of like an upside down teardrop shape like some globe varieties I've tried). It's not very tall, so you do need to be careful to not lose it under or behind larger plants. I planted up a border of one of our small gardens with it and the family and neighbors admire it frequently. The flavor is a bit zestier than Genovese basil, and is good in recipes calling for basil. I've made pesto with it and have put it with countless dishes. 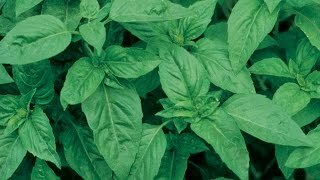 It has a true basil smell and taste, making it very versatile despite the small stature. I will definitely grow this again next year!